The federal government will consider increasing the compensation Quebec receives for asylum seekers, as well as help for the province's dairy farmers for losses under the new NAFTA agreement, the premier said. 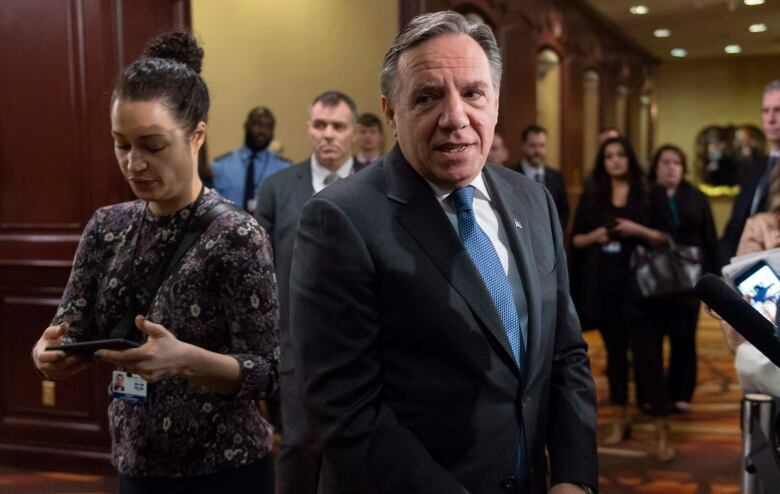 The federal government will consider increasing the compensation Quebec receives for providing care for asylum seekers, Premier Francois Legault said Friday after a meeting of Canada's first ministers. Quebec wants $295 million for its efforts. Ottawa initially indicated it was only willing to pay half that amount — enough to reimburse housing costs. But Legault said Prime Minister Justin Trudeau displayed more openness in Friday's meeting. "This afternoon he went a bit further to say he was ready to look at other sorts of expenses than housing," Legault told reporters in Montreal. "The ministers and bureaucrats will have discussions about the costs to get us as close as possible to the $300 million." Quebec also wants Ottawa to pay for health and education services it offers to asylum seekers as they wait for their claims to be processed. "​The volume of people we had was very high for the last two years," said Legault. "So I expect Mr. Trudeau to compensate us." It's unacceptable, he said, that asylum seekers must wait in the province for a year and half before they learn if they will be accepted into the country. The costs add up, he said, and after all that time and investment, the majority are denied residency. "We know that these people — they spend about 18 months in Quebec — we send them to school, we take care of them, so there are direct costs of around $300 million." Legault raised the issue with Trudeau when the two sat next to each other at a dinner held Thursday night for the premiers. 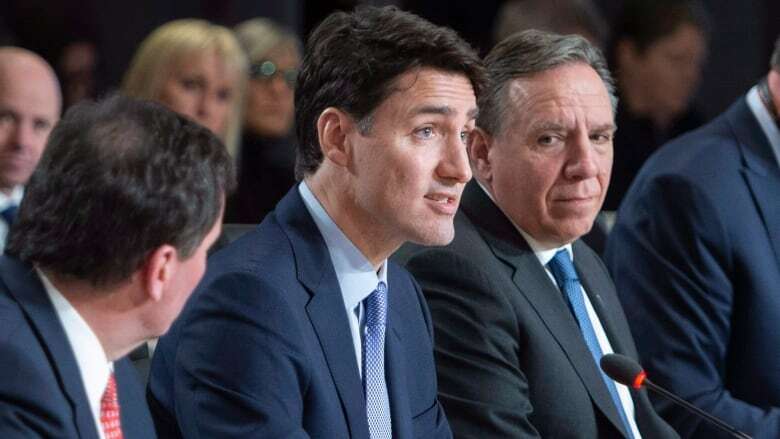 The two sat next to each other again at Friday's meeting in a downtown hotel, and Legault said he reiterated his demands. 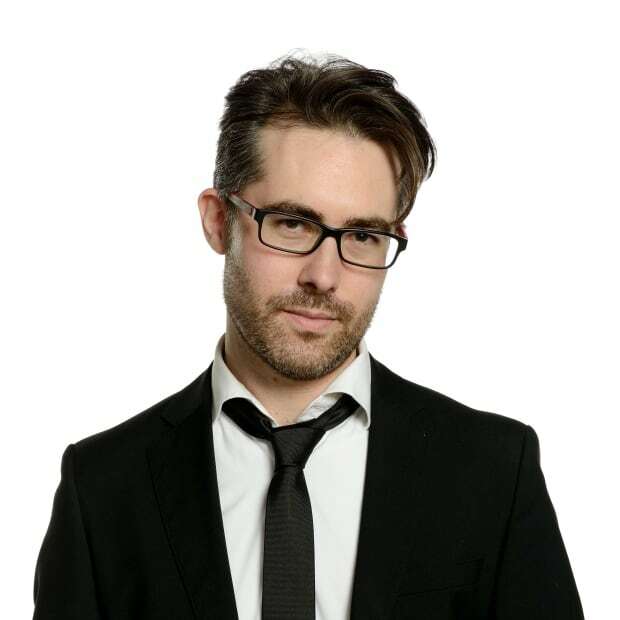 He has an ally on the issue in Ontario Premier Doug Ford, who also wants more money from Ottawa to pay for the services offered to asylum seekers. At his closing news conference, Trudeau said there were "constructive conversations" on the issue of asylum seekers. "We will continue to work with interested provinces to make sure that the additional costs — particularly around housing — are properly addressed," he said. For 2017-2018, Quebec's Liberal government asked for $146 million in compensation to cover social assistance costs, temporary accommodation and schooling. In 2017, 18,836 asylum seekers crossed the border into Quebec from the U.S. Broken down by category, that's $53.4 million in temporary housing costs, $71.7 million in social assistance, $19.1 million in schooling and $1.8 million in other costs. In return, Ottawa offered $59 million, but the province contested that amount. Quebec's newly elected Coalition Avenir Québec government has inherited that issue from the Liberals. In 2018-19, the province plans to spend $149 million on caring for asylum seekers, but the federal government is proposing only $77 million in compensation. From January to October of this year, 16,298 people crossed the border illegally. There is already disagreement between Legault and Trudeau when it comes to immigration policies. Quebec confirmed plans this week to cut the number of immigrants coming into the province by more than 20 per cent next year, but requires co-operation from the federal government to follow through. Quebec has the power to select 31,000 economic immigrants a year, but also gets another 12,000 people annually under the family reunification program, as well as 9,000 refugees — programs overseen by the federal government. Legault has said that, ideally, the reduction would be the same across all categories. Trudeau immediately raised concerns about the plan in a time when the province is facing labour shortages. He told reporters Wednesday, "I'm not sure this is the best time to reduce the number of people who are coming." Legault also said he was able to secure commitment from Ottawa that it will compensate the province's dairy farmers for losses incurred under the new NAFTA agreement. While he expressed broad support for the Canada–United States–Mexico Agreement (CUSMA), Legault believes dairy farmers will pay a heavy price for opening the domestic to more competition. "[Trudeau] told me that dairy farmers will get a full compensation for their losses," the Quebec premier said. Under the trade agreement, which still requires in all three countries, U.S. dairy farmers will get access to 3.6 per cent of the Canadian market, in which competition is closely regulated under a supply-management system. Quebec's Union des producteurs agricoles, an agricultural industry lobby group, is working with federal officials to put a price tag on the dairy industry's losses. But Trudeau cautioned the discussion isn't just about money. "It's a strategic discussion about how we can improve and help the dairy industry in Canada," he said.